Find out amazing health benefits Oolong tea which includes helps in weight loss, reduce cholesterol, prevents cancer, boost the immune system. Oolong tea is kept in Green Tea category, but there is a difference. It is not exactly green tea per se. While all tea grows from the same plant, it is in its processing that they are differentiated out. What Is Oolong Tea Made Of? Oolong tea does belong to the same family tree of green as well as black tea. The difference is in their processing characteristics. The manufacturing process of green tea involves slowly heating the fresh leaves obtained from plants at low temperature. In doing so, the enzymes deactivate, and no further enzymatic reactions take place ensuring that oxidation process of the leaf is halted. Instead, the process of making oolong tea involves plucking it from the plant and letting it get oxidized. The oxidation process is done under controlled temperature and surroundings so that the quality of tea formed does not degrade. Thus, leaves are allowed to get partially oxidized, which forms our Oolong tea. On the other end of the spectrum is the more traditional black tea, which forms if the leaves are completely allowed to oxidize.Thus, it’s the aging or maturing process which differentiates all of them. Another difference which comes in the process of making oolong tea is that the leaves of oolong are not intentionally broken or cut, but carefully kept and packed. This leaves most of the internal cell structure intact and robust. That is not the case for green tea where it is cut finely so that maximum aroma can be extracted from tea when boiled. Scientifically, the purpose of halting oxidation is to manipulate the level of a compound called as “catechin”. Oxidation will reduce its level. Owing to this reason, oolong is richest among all traditional varieties. It is clear, fragrant owing to it’s stopped the aging process, but is strong in taste while being refreshing for mood. Adding the fact that it is packed to the rafters with anti-oxidants; there are many benefits of this tea, which we shall discuss in a jiffy. Nutritionists will advocate that the benefits of oolong cannot be justified in such articles; they require a book of their own. The majority of advantage which this tea offer is due to its undiminished cell structure; as all beneficial chemicals are intact. But let’s have a quick outlook on the advantages which this tea offers, one which will make the health nut in you happy. Oolong tea has one major benefit that it has combined properties of both green and black tea, but less caffeine than any one of them. This benefits people who are sensitive to caffeine. The polyphenols in tea cells block enzymes which form fat. It also increases the metabolism of the body which means you burn more body fat. Weight reduction becomes easy down the road. But to do this, you can’t add sugar or sweetener to tea while drinking, something which many people fail to do and then complain. Polyphenols also help in eradicating free radicals of the body, slowing the aging process and making skin more vibrant and fresh. Oolong tea is beneficial to people who suffer from cholesterol related problems. It can help reduce the level of cholesterol in the body. This occurs as this tea is in the semi-oxidized state. The molecules of polyphenol formed are of adequate shape and quality, and they activate lipase enzyme. It is well known that lipase helps in dissolving body fat. Dermatologically speaking, oolong tea helps in revitalizing skin making it look more lush and vibrant. When consumed on a daily basis it reduces the wrinkle lines on the skin. This effect can be observed in less than a week’s time if done properly. Because it has a high amount of antioxidants, it gives shine to your hair, in addition to making it strong and less susceptible to hair loss. Ladies, you can have added benefit by rinsing hair with tea leaves which are obtained after drinking it. Just add them to your bathing water a few minutes before the shower. Old people can also benefit greatly from drinking oolong tea. There are antioxidant flavonoids in this tea. They help in preventing cellular damage. Also, your body produces more anti-bacterial proteins when you drink this tea. This helps our Grammies and grandpa as immune response is strengthened while fighting bacterial or viral infection. Oolong tea helps in the protection of teeth against many problems such as decay, loose structure, and brittleness. It helps in maintaining the Bone Structure of the body, counters osteoporosis while promoting the normal & healthy growth of the human body. One major long-term benefit which regular oolong tea drinkers get is bone mineral density retention. This ensures that bones remain strong well up to old age. Also, some studies indicate that oolong tea components stimulate the retention of some of the required minerals, thus making the body more nutritious. It’s a known fact that we tea drinkers are less susceptible to Cancer disease. 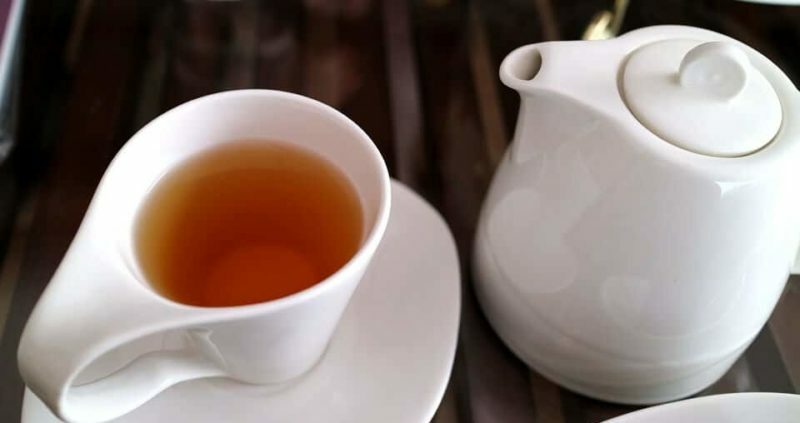 This is because oolong tea contains compounds which stifle the activation and enhancement of carcinogenic cells in the stomach.They also prevent genotoxic agents and chemicals from becoming active to harmful levels. Oolong tea helps people who are having acid related problems. It alkalizes the path of digestion, which reacts with acids formed and neutralizes its effect. This means that inflammation and burning sensation is reduced. It also has mild antiseptic properties. This comes into picture when oolong tea is consumed hot as it helps clear unwanted micro-organisms from your belly. Also, it has a calming effect on the stomach and can sooth it when consumed hot. This one is for students. Drinking oolong before studies help in concentrating and learning faster up to 1.25 times the normal rate as it revitalizes your mental alertness and performance. This happens because of the caffeine in the tea.Also, the effect of stress on mental health is reduced by those polyphenolic angels present here. The healthy immune system can be maintained by drinking oolong tea. Cellular Damage is prevented by antioxidant flavonoids found in the tea. Also, the build-up of the immune system is accelerated which means that the body requires less time to heal from an infection. Excess of anything is counterproductive. You must exercise caution and consume Oolong in moderation. The major reason is the presence of caffeine in the tea. The increase in metabolism is favored but drinks this tea too much, and you will sweat out minerals from your body. This will inhibit symptoms like anxiety, irritable bowel syndrome, and high blood pressure. If you are pregnant, then the amount of oolong tea intake needs to be controlled. Because caffeine is present in the tea, it can pose harm to the fetus. Similarly, if you are breastfeeding a baby, then it is better to consult a doctor regarding the intake of oolong teacups per day. Also drinking too much oolong tea will result in side effects like mild or serious headaches, nervousness, vomiting, irregular heartbeat, heartburn and such. So exercise caution while drinking it, as your body needs to process this new changes and it takes some time. But enjoy the wholesome flavor of this tea which will make your oolong for more! “Tea, though ridiculed by those who are naturally coarse in their nervous sensibilities will always be the favorite beverage of the intellectual”, Quoted by Master Thomas de Quincey. A major advantage oolong tea has over various other teas like green or black tea is that you can consume it hot or cold, depending on your taste and preferences. The residence time which you give to leaves and the number of infusions which you do with a different variety of tea will change the final result. But the basic method of preparation is nice and easy. Here is what you have to do-Have a nice pot of boiling water at hand. This tea is prepared by addition of water directly into it and not boiling the contents with water. So do take care of that. Meanwhile, while the water is coming to boil, take out the tea-set, clean it and rinse it with lukewarm water.Take the Oolong leaves and spread them out at in the cup in such a way that they occupy at most 10% of the space of cup. Less than that and you might not enjoy the flavors to the maximum. More and you might have a feeling that someone exploded a firecracker in your throat; we don’t want that to happen to a guest, do we? Not that thermometer is always required, but ensure that water is around 180-200 °F when it’s time to make tea. Pour this water in the cup to the brim. Remove air bubbles formed with a spoon or wooden stick. To infuse the tea fragrance along with taste, cover the cup with lid and let it steep in leaves for a few minutes. 7 minutes is the ideal time, but you can vary it with your requirement. The tea is ready!